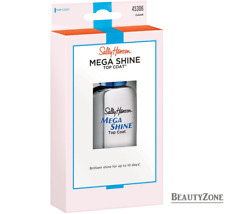 Maximum Growth by Sally Hansen Daily Nail Growth Program 13ml Clear Transparent . NAIL REHAB X. SALLY HANSEN. Dries to smooth, ultra hard shield that defends against breaking, tearing & peeling. Apply 1-2 coat to bare nails or use under color. Reapply as needed. NAILGROWTH MIRACLE. SALLY HANSEN. Collagen & multi-vitamins formula promotes healthy nail growth. Use alone or under nail color. 2 X SALLY HANSEN - HARD AS NAILS. Apply two coats directly to clean nails allowing first coat to dry thoroughly before applying the next. NAIL HARDENER WITH NYLON. Gel like finish. Salon Look. No UV/LED light. Exclusive calcium and ceramic gel formula reinforces and smoothes nails. The results?. Thicker, harder, stronger nails that last! The highly effective calcium and ceramic gel complex will instantly adhere to and strengthen the nail. Advanced Hard as Nails by Sally Hansen Extra Strength Nylon 13.3ml Natural . SALLY HANSEN NAILGROWTH MIRACLE Z45103. NAILGROWTH MIRACLE. SALLY HANSEN. This exclusive nail color formula with Peptides, Keratin, Biotin and Multi-Vitamins, reinforces nails to resist splitting, cracking and breaking. DIAMOND STRENGTH HARDENER. SALLY HANSEN. Real Micro-Diamond & Titanium formula instantly bonds to strengthen & seal fragile nail layers with virtual shatterproof, protection. Dries Instantly 13.3ml Quick Dry Topcoat. 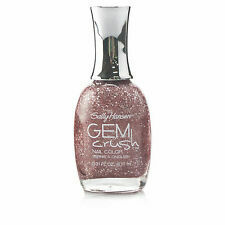 Sally Hansen by Sally Hansen. Sally Hansen. Acrylic Gel Hardener. NEW & BOXED. Sally Hansen by Sally Hansen Cuticle Massage Cream 11.3g . Sally Hansen Hard As Nails Colour. Sally Hansen Hard as Nails. nails against chipping, splitting and breaking. Gives nails a natural gloss and encourages them to grow longer. 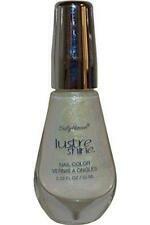 Provides a super strong and smooth coating that reinforces the nail. Healthy nail growth. You Have Soft fragile nails that break, crack, chip or peel. Nails that just won't grow without. Let us know if our service could be better and what we can do to improve. Let us know if our service could be better and what we can do to improve. Can be worn alone or with nail colour. 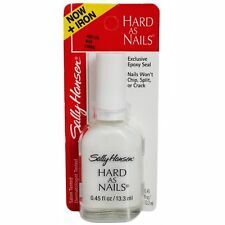 Hard as Nails by Sally Hansen Nail Varnish 13.3ml Lilac (#64) .